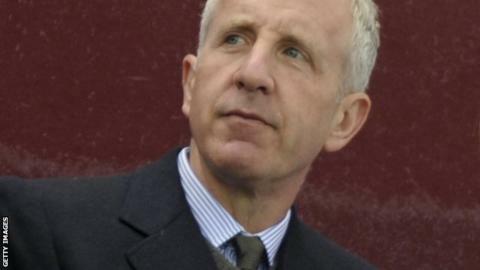 Aston Villa owner Randy Lerner says he will address speculation regarding his future at the club in the summer. Lerner's words come after reports of a potential takeover by two American billionaires. In a statement, the American said: "As regards my personal role at the club and the steady rumours of a sale, I will address these after the season." Lerner added he was committed to "limiting distraction and confusion'' as Villa struggle on the pitch. On Saturday, Villa ended a four-match run of successive defeats with a 0-0 draw at home to Southampton. Paul Lambert's side are five points clear of the relegation zone with four matches left to play - against Swansea City, Hull City, Manchester City and Tottenham. Lerner, 57, assumed control of Villa in 2006 after a £62.6m takeover was agreed with the club's board.